Call for bLaoggers: Need a mic? Keep it Lao'd and blog about it. There’s little that Lao people wouldn’t talk about. We’re natural storytellers. It’s in our blood. And there are a lot more issues that we face as a community and individuals that will ruffle your sinh and make you want to punch the kao niew out of someone. Am I right? We have voices yet we lack the place to actually voice them. LLOTP is your platform. As LLOTP launches it’s full .org website to drive the platform for voices from the Lao diaspora and Laos and as we’re approaching our 2nd anniversary this year, I’m looking for the passionate and the pissed off folks. You don’t have to claim or prove you’re a writer. I just want to hear your story and your experience in what bites at your head the most. Whether it’s about the latest dengue fever outbreak in Laos or how much you love making chicken laab with your ee mae, you name the topic you want to write. The best written pieces are always the ones people are most passionate about. Those who have something to gripe about or who simply want to write about their latest pet project. Whatever it is, I want to read it. I want to grasp your voice. I want to see you Lao’d. It’s been too long that Lao Americans have been stalled at the margins of opinion pages. Because of it, mainstream media thinks we don’t matter enough. So let’s speak up. We’re experts of our own story and only we should be telling them. It’s what enriches our journey as Lao immigrants and it’s what connects our shared history as a community to Laos. The concept is basic: email your story to LLOTP, we read it over, and we publish it for you. Simple as that. -Open to any topic of interest but it needs to relate to the Lao or Laos in some way. -Keep it under 600 words, if possible. No more than 1,000 words. Unless you really can’t stop talking about it. Just don’t bore readers. -Send at least two good photos related to the post. -Don’t worry about technical errors or your style of writing. Write as if you’re talking to me. 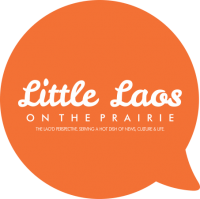 -Email your final draft any day, any time to: littlelaosontheprairie@gmail.com. -We’ll look it over. If we have questions, we’ll shoot it over. If not, it’s under the editorial staff’s discretion when and what’s ready to be published.